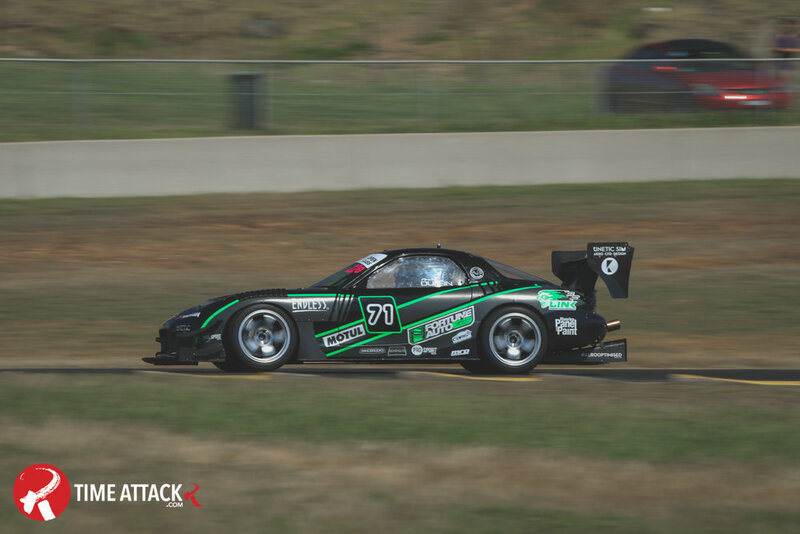 TimeattackR.com: How did your last season of NZ Superlap go? Did you have any major issues with the Evo? Kat: I guess you could say we finished the season with a Backfire which erupted into a Flamethrower and finally shifted gears into a Burnout during the final round with our fire at Hampton Downs. 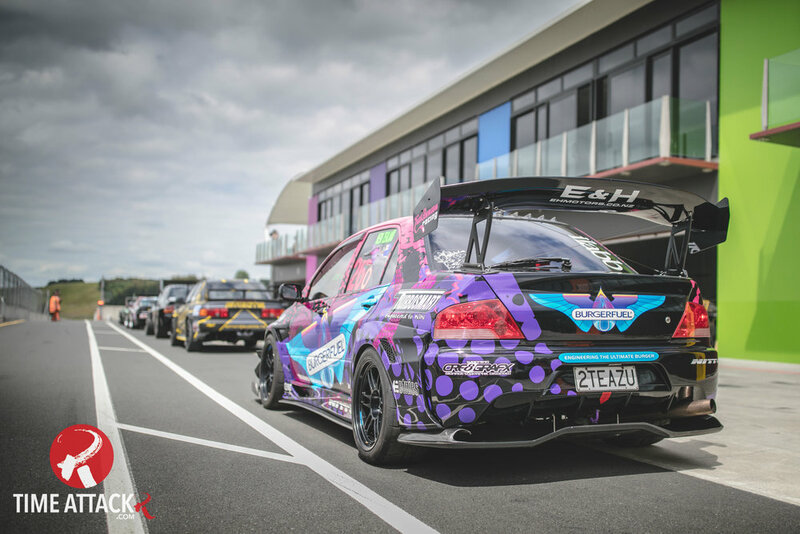 Flying off the back of a really epic Trans-Tasman experience at the Yokohama World Time Attack Challenge, the BurgerFuel Evo felt solid. We continued to smash our PB's with the help of a new KAPS dog-engagement gearset and was really enjoying being back behind the wheel and continuing to work on my driving skills. What was the plan for the upcoming season; a quick freshen up, or has it received a range of new upgrades? If so, what is the direction you've taken for this upcoming season? I think to be fair the fire at the final round of the season kind of forced a hand that we had been thinking to play for the last couple of years. I find my method has always been a balance of upgrade wear and tear items when required/really think about big picture when it came to improvements and work on my driving style. I generally try and keep level headed when it comes to thinking about reliability and longevity of the series. Exciting! So, what exactly has been upgraded and modified? This time around, we decided to build a brand new motor. This new unit consists of a Pure Performance Motorsport 2.3-litre stroker kit, with a Ralliart oil pump, ARP head studs, ARP main studs, and ARP rod bolts. 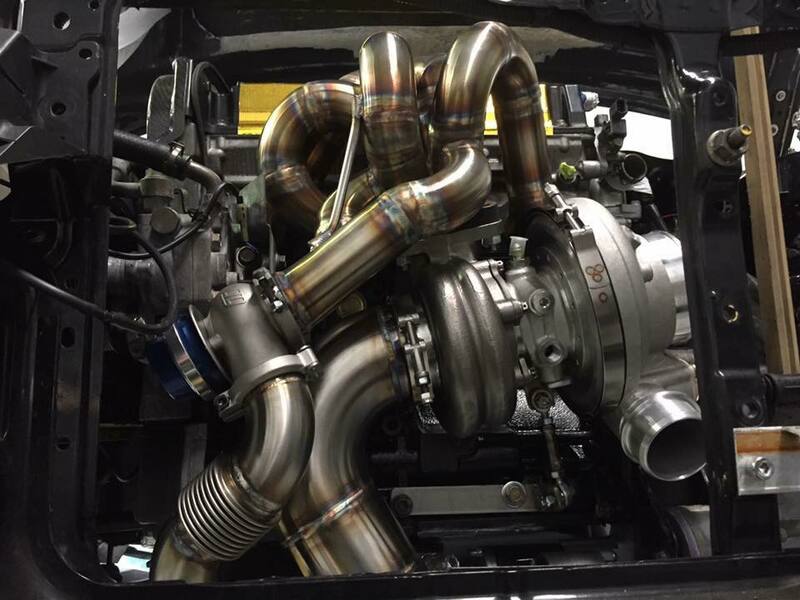 With the extra capacity, we thought it best to utilise it as much as possible so made the switch to a much larger BorgWarner EFR 8374 turbo, which sits in a new location thanks to Sinco Customs and their beautiful twin-scroll turbo manifold they fabricated for us. 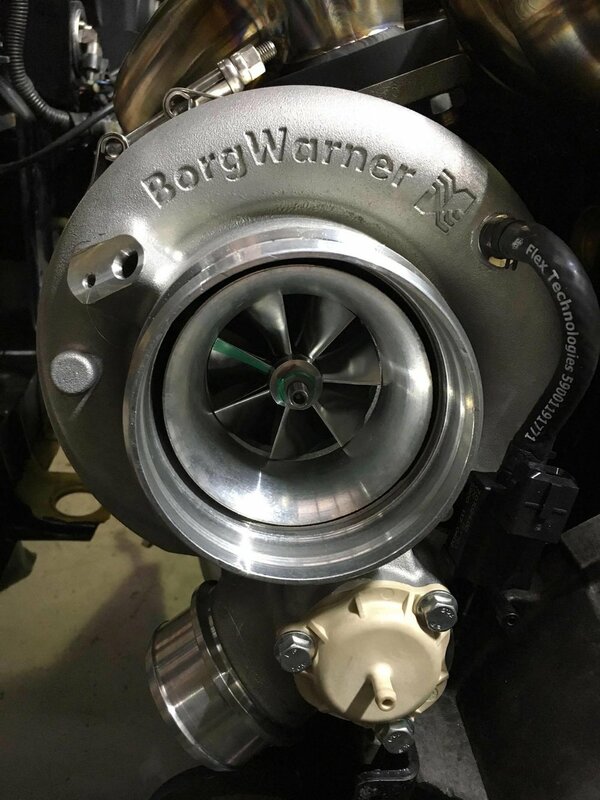 For boost control, we’ll be running a Turbosmart 45mm Progate. We’ve undertaken a few maintenance tasks too, which involved replacing the OEM coil packs and leads, and the OEM shifter cables. E&H Motors have undertaken this build for us, so it has definitely come out just how we want it. To add, we have just picked up Link ECU as a sponsor, so we’re running a new G4 computer, four-bar map sensor, fluid sensor, air temp sensors, knock sensor, ethanol sensor, and lambda. Who do you plan on hunting down this year, or are you just going to worry about perfecting the new-found grunt, and car setup? My main focus in the early rounds of the season will be for sure around car setup; understanding and utilising the new response and power to its full potential. One of the things I have really enjoyed as a driver throughout the progression of the race car is that I have been able to focus and improve my driving along with the build process and continue to do so to this day. I think I need to be realistic in that I may be a bit rusty not having the pleasure of wheeling the car for a few months, so we may encounter a few teething issues as with any new build, but I am still staying positive and I look forward to my new challenge. Are there any new strategies you're bringing into this season, or is it business as usual? I'm so blessed to have the support system of sponsors and crew behind me. We plan for business as usual at this stage but knowing motorsport, this may evolve in the coming months. Thanks for chatting with us Kat, we can’t wait to follow your progress this season! Driver's POV: Andy Duffin heads to 2017 WTAC! TimeattackR.com: Hey Andy, thanks for taking the time to chat with us. You must be excited for the next World Time Attack Challenge? Andy Duffin: We always look forward to this event — it’s become huge! Ian Baker and his team put on a great spectacle. 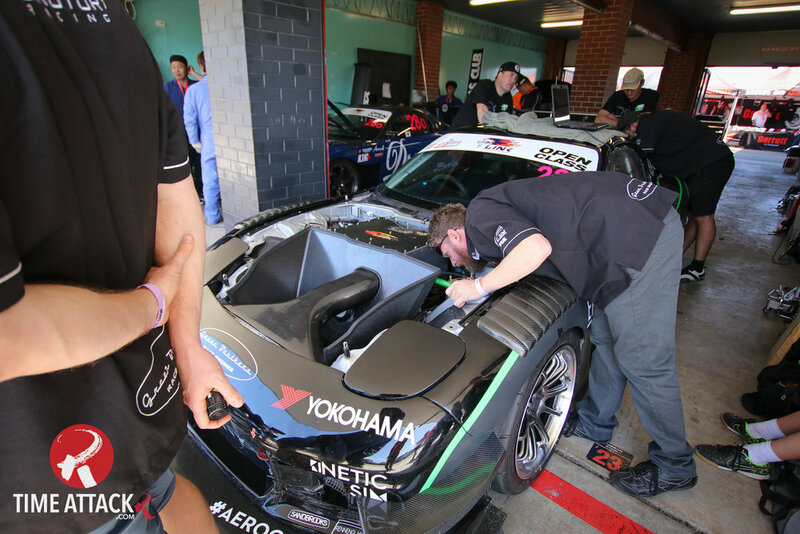 The chance to take your car overseas and race on such a challenging track like Sydney Motorsport Park in front of a big crowd is something not to be missed. This event and Leadfoot are the 'can’t miss' events of the motorsport calendar in my opinion. When was the first time you attended WTAC, and what was the spec of your RX-7, and what times were you running around Sydney Motorsport Park? We first attended WTAC in 2015. We ran the Green Brothers Racing 20b PP in N/A spec just as we ran it in GT2 here in New Zealand. We did significantly upgrade the aero after David Higgins got involved and performed his magic! We got down to a 1.32.7-second lap which was ok after trying to learn the track and the semi slick tyres. Compared with last year, what are the major technical and aero changes made to the Mazda, especially after the unfortunate run in with that very sturdy tree at the Leadfoot Festival? That bloody tree!!!! Unfortunately, repairing the car took priority over any major upgrades this time. David Higgins changed the front splitter design to give us more front grip as we were lacking turn-in at speed. 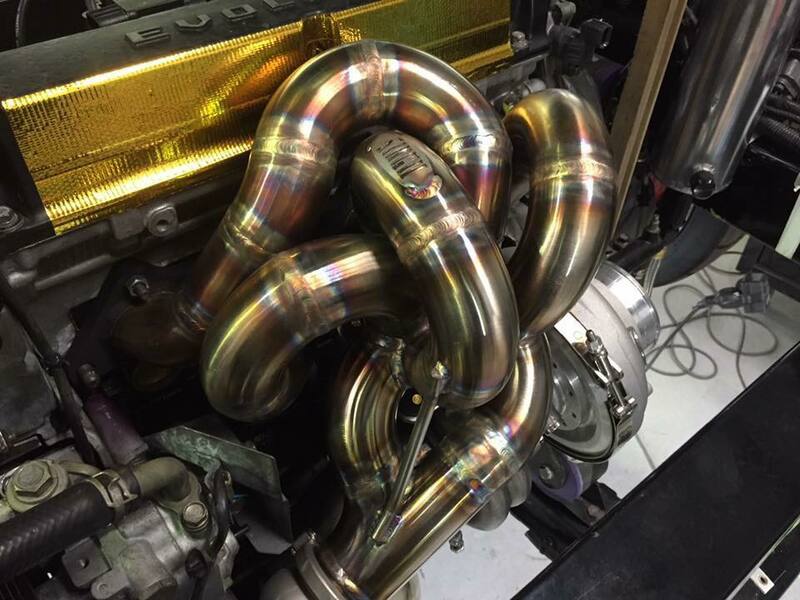 How have you found the nitrous oxide during your dyno tuning and limited track time? Will the extra power this year give you the extra boost you're after? Richard Green has been working really hard to get the nitrous delivery cleaner to improve the drivability. We did not have a great run with testing due to a few issues and weather affecting our time on track. Richard is confident that we will have a better package this year. Power has come up a little but it wasn’t the focus this year. Will you ever look into a turbine or belt driven form of forced induction? It just wouldn’t be the same! The car has always been designed around being N/A and to change it now would be a lot of work. And we’d lose that 20b scream….! Time wise, have you set yourself a benchmark for this year's event? We know the competition has stepped up this year, as it always does. It will take a 1.29.0 or faster this year to win. So that’s what we are aiming at! I think the car is capable, we just have to get it all together. How much seat time have you had in New Zealand on the new setup, and will you get much testing in at Sydney prior to the event? Not enough is the honest answer. We have just had a bad run in the lead up this year. We will run the car on the Thursday practice day and that should blow out the cobwebs! Especially turning into turn 1 at 265km/h without braking! Come race day, how do you prepare yourself? Do you have any pre race rituals? I try to stay relaxed. My crew is great at keeping me level and joking me along. Funnily enough, I probably drive better when I’m angry so maybe I’ll get someone to piss me off this year! What feelings do you go through when you're out in an attack lap? Are you frustrated at minor errors, pumped on adrenalin, or too busy taming the car to notice? It must be difficult trying to get that one perfect lap! It's incredibly hard to put the pressure aside. I just try and remember the lines for every corner. I talk to myself a lot during the lap, sometimes not in a nice way! It probably made me a better driver as it's something that I was pretty weak at before. It's about being aggressive but not over the top. There's no denying the triple rotor sounds incredible, but do you think there's a better sounding engine out there? I think it sounds pretty cool. But I’m biased! Anything that is doing the business sounds good on track sounds good I reckon. Will this be your last WTAC event, or are you hooked for good? I love this event and I’ll keep turning up as long as we can. I would love to take home the trophy! Are there any other international time attack events that are on your bucket list? I would love to go up to Tsukuba in Japan. It’s the bench mark track for Time Attack in the world. But I would love to drive anywhere, Time Attack is becoming a global sport. Who's your biggest friendly (or not so) rival at WTAC? All the guys in Open Class at WTAC were great, we got to meet a lot of new guys and make some new friends. I guess beating the other rotaries is always the first battle! If you could drive any car that has been announced at this year's WTAC, what would it be and why? Easy! THE 767B! Who wouldn’t give their left nut to drive such an iconic piece of motorsport history! And it's got a 4 rotor! Have you picked up any new sponsors this year? APR Performance has come on board this year. It has been great to add them to my loyal sponsors that have been with me forever. A massive shout out goes to LINK ECU’s as we wouldn’t have made it this year without their help and support. We have a new livery on the car, but you’ll have to wait for the unveiling at WTAC! Tell us the sponsors involved in the project. Let us know who you'd like to thank, we'd love to give them a mention! Poll: Who was your favourite WTAC driving superstar? We've all got our favourite drivers, and at the Yokohama World Time Attack Challenge the event was literally bursting at the seams with international talent. Who was your favourite though? Take the poll below and let us know. If your favourite driver isn't on the list, let us know in the comments section! TimeattackR.com: Hi there. Tell us a bit about who you are, and why you first got into motorsport. Brad: Hey! I’m Brad, I’m 25 and from Auckland. My weekend high-chair was pretty much a go kart as a toddler. I grew up running around the country’s go karting tracks as my dad was a mechanic for some of the top go karters in the country at the time. Being surrounded by the smell of exhaust gas and tyres must have sunk into my blood. Unfortunately, I was never allowed to drive one. But I never really managed to shake the urge to get out on the track and the moment I bought myself a performance car I was back out on track. I started with drag racing then slowly built my confidence to track days. Now it’s time attack and full blown circuit racing on my agenda. 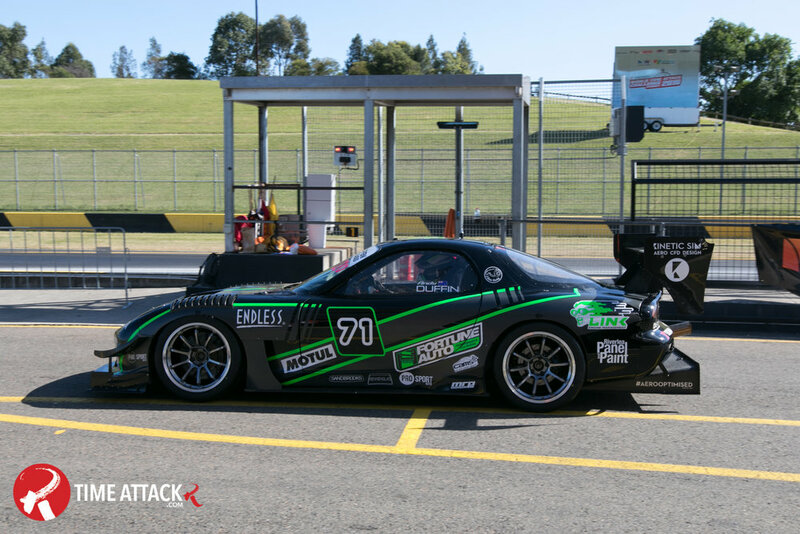 What first drew you to time attack racing and when did you start competing? Ever since time attack hit the mainstream I have been interested in it. The first car and team I followed would be the HKS CT230R as I’m an avid Evo enthusiast. I loved this car and everything about it. This then carried over to the cyber evo. I was invited over to the Yokohama World Time Attack Challenge in 2013 by a friend who was managing Inessa Tushkanova, as she was competing as a guest driver. I was lucky enough to spend a week hanging out with them. I was also lucky enough to meet and hang out with the WTAC CEO Ian Baker, who is one of the coolest people I have had the pleasure of meeting. I also got to meet Chris from Nulon Australia who is an ex-pat Kiwi and all round awesome guy. It was definitely one of the best weeks of my life hanging out with time attack royalty. Ever since then, the time attack bug bit hard, and although my financial situation (mortgage + racecar = permanently broke) hasn’t allowed me to get back over to WTAC in person, I’ve watched every year since from start to finish on the live stream. I also try to keep up to date with the Japanese time attack scene. This is my first year competing in time attack in New Zealand. I’ve learnt the hard way that the car takes another level of beating when on the track and I had a few teething issues which have cost me some good placings including; losing power to a fuel pump at round two and blowing fourth gear to smithereens at round three, but that’s motorsport I guess. It also pushed me to develop and adapt the car over the year, including much more aggressive aero and welding in a full eight-point roll cage after round one. So since round one the car has gone from fast street car to fully stripped, caged race car. What was your first time attack vehicle and why did you choose it? My first vehicle is my current vehicle. A highly modified 2001 Mitsubishi Evo VII. It was my street and show car, which saw the odd drag event and track day. 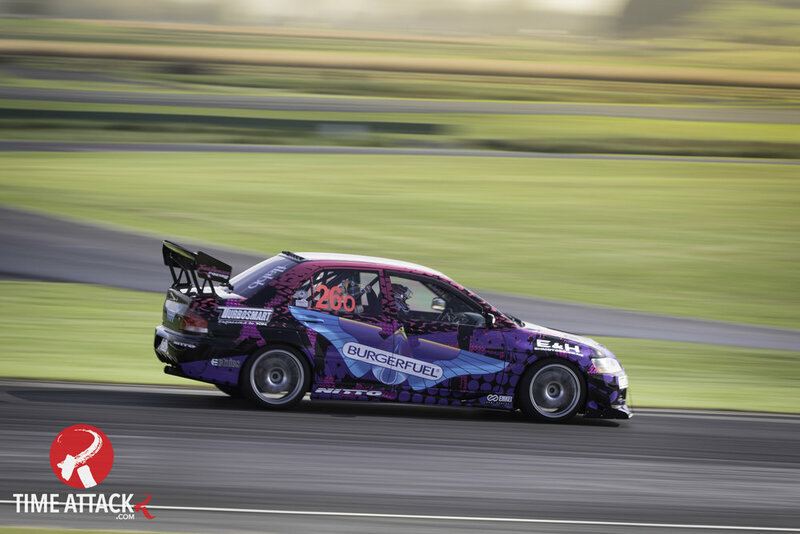 I’ve always wanted to get into motorsport with the end goal being full blown circuit racing as part of the GTRNZ series, and I see time attack as a good stepping stone giving me experience on the track in a competition environment with other cars of similar pace, before taking the plunge into door-to-door racing. Besides, the Evo is arguably the best time attack chassis in the world so why change! What development did this vehicle go through, and what development saw the biggest drop in lap times? The car was already highly modified and capable of 10-second drag passes at the strip. So a lot of the development had already gone into the car over the previous five years of ownership. I’ve always had circuit racing as the end goal in my head so most modifications have been carried out with that as my end goal in mind. The first thing I did was install a full eight-point MSNZ spec rollcage into the car. To me, there is no compromise for safety and I just didn’t feel comfortable in the car at 200kph-plus without a rollcage around me. Personally, I think it is a minimum that any circuit car putting out reasonable power or showing decent pace should have. I also found that I was beginning to pop spot welds on the chassis due to the the forces being applied to the car. These benefits outweighed the approximately 80–100kg weight gain the car suffered from by having the ‘cage added. At the same time as the rollcage was fitted, I installed a Sparco fixed back competition seat and Takata four-point harnesses. I then stripped the interior and everything is built to MSNZ Specs. Too many people take safety for granted and skimp out on decent genuine harnesses and safety equipment which is concerning. I have gone to a more aggressive front aero package including doubling the size and strength of my front diffuser and adding a second pair of larger front canards. I’ve added ducting for my front brakes due to finding that they would overheat after 2 laps. Also swapped pads out to a more track orientated compound from Endless Brakes NZ. I’ve also done a lot of work on reliability — adding sensors and learning to read data logs from my ECU and understanding car setup more, which has no doubt driven Hans Ruiterman at E&H Motors nuts. I’ve also swapped fluids out to fluids more suited for full time track work. I now use Millers engine and transmission fluids from Millers Oils NZ and Endless high-temp brake fluid. After exploding fourth gear on my first lap at Pukekohe in round 3, I spent my Christmas holidays stripping the gearbox out of the car and removing the gearset. I have gone to an Evo IV gearset as they have a slightly shorter fourth and fifth gear. I was having trouble shifting from fourth to fifth and having the car fall off boost slightly. Going to the shorter Evo IV gearbox has fixed this issue. I’ve also installed some blowers to duct cool air from outside the car into the cabin to keep temperatures in the cabin down. Before the end of the season, I hope to have a fully baffled and gated sump installed to take on the final round at Hampton downs and not have the oil surge issues encountered during round one and two. What was the first circuit you ever competed in time attack? The first circuit I ever competed on was Hampton downs; which is also the circuit I’ve done the most laps at and it’s also probably my favourite. Although after round five,, I think I may have a new favourite track once I’ve done a few more laps there. However, I can’t wait to see the Hamptons Downs Raceway extension completed. 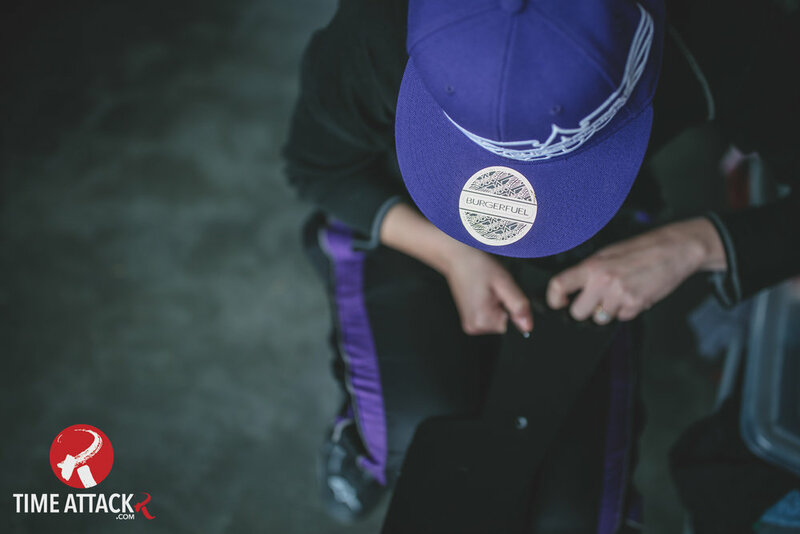 What advice would you give someone thinking of getting into the sport? Just do it. There’s no easy way to get into motorsport in New Zealand so you just have to take the plunge. Come along and talk to some of the guys and I’m sure they will be happy to help you on your first day out. Definitely don’t be afraid to give it a go or think you’re too slow — everybody starts somewhere.The best thing you can do is enter with a relatively slow car and learn how to drive it. It’s much easier and better to learn to drive a slow car fast than masking poor driving and lack of skill with lots of horsepower. Admittedly, I began racing my car too late and haven’t had the chance to develop with my car and now I’m having to play catch up. I’m just lucky to have amazing, experienced friends and family who are happy to give advice and critique my driving. The most important bit of advice, which is sadly one of the most overlooked, is to never skimp out on safety equipment. Always buy genuine safety gear, not the replica stuff. Get a good quality race suit and helmet. If you go as far as to get harnesses and a competition seat make sure it is genuine and not a replica. Thanks for chatting with us, is there anybody you would like to thank? I would like to thank my team that helps me out every round, my lovely amazing manager/partner Maya, my dad for being the number one sponsor and always helping and willing to put long hours in on the car, Barry from Millers oils NZ, Mike from Endless Brakes NZ, AJ at the Glossmaster for always making the car sparkle, Hans Ruiterman from E&H Motors for putting up with my dumb questions and loaning me workshop space and his time, Bill from Ralliart for always looking after me and also putting up with endless stupid questions, Leon, Barry and everybody else in the Prowear NZ superlap series who provides good banter and advice. TimeattackR.com: Hey Glenn, tell us a bit about who you are, and why you first got into motorsport. Glenn Hodges: I've been around cars forever — I remember helping (as much as an under ten-year-old can) my dad fit a 350 Chev’ V8 into a Bedford van. It just never stopped, I've always been working on something. I purchased a Volkswagen Beetle and repainted it while I was still at school, the projects just got faster and more expensive from there! I like the concept of being able to compete but not be door-to-door racing — for the most part! (laughs). I ran at the first time attack round at Hampton Downs Raceway and have done a handful there since, but this is the first full season I've attempted. Actually the current project has been the only car I have officially competed in; it's a rare (ish) sub model of the Z32 300ZX, with only two seats and a hard top roof rather than T tops, so it's lighter and more nimble. The downside is it can be very twitchy when driving on the limit. I've spent a lot of time on the car over the years trialing various "improvements" and finding the limits of different components. Ultimately the single biggest gain for this particular car is in the choice of tires in my opinion. Obviously with more power and bigger brakes it all helps, but once you are at around about 1400Kgs with near-on 400kWs at the hubs, the tyres can really make a lot of difference. My first ever circuit was Hampton Downs Raceway. DO IT!!! In New Zealand, we have a great bunch of people participating in the series and it's an awesome way to get out there and compete with minimal risk of panel damage. Thanks to Beaurepaires, my very understanding wifey, and the guys n gals who put the effort into making the NZ Superlap series happen in New Zealand. TimeattackR.com: Hey Ben, tell us a bit about who you are, and why you first got into motorsport. Ben: I have always been interested in cars. Initially it was just modifying my daily driver, but slowly my daily drivers got less and less suited to the road. I was drag racing an RX-7 at the local street drags in Darwin and had a work mate convince me to try a track day at Hidden Valley. I was hooked after that first session. I sold the RX-7 when my sons were born, but I missed the cars and fell back into modifying my daily again. I figured I was too old to be butting heads with the law, so I decided to buy a dedicated track car. I was living in NSW by this stage and began hitting Oran Park at every opportunity. I was building the car up as a Sports Sedan, but we moved back to Darwin where there was no Sports Sedan competition. I ended up competing in the super sprints up there and started doing well. When we moved to Adelaide I entered a time attack demonstration at a drifting event and enjoyed the company and competition, despite it raining and ending up 12th fastest and 10-seconds a lap behind the winner. I was modifying my daily JZZ30 Toyota Soarer when I decided to buy a track car, so I purchased another and swapped all the go fast bits across. It was part convenience and partly because I thought the chassis and suspension, being double wishbone would be well suited to motorsport. I did not factor in the sheer mass of the thing though, and the lack of off the shelf support. Looking back I would have had an easier time with the RX-7, but I have learnt a lot from needing to make all my own parts. As an amateur, development has been slow but constant. I focused on braking and suspension in the first few years which saw five or six-seconds a lap improvement over stock. After that I took a leaf out of Colin Chapman’s book and ‘added lightness’. My best mate convinced me to try working with carbon fibre and I set about replacing all the steel panels with carbon fibre. About the same time I began reading every aerodynamics textbook I could find and incorporated this new knowledge into the panels. Lap times dropped with the weight. Unfortunately my enthusiasm for carbon and aero put me up a class where I was severely underpowered with my stock driveline. In the last couple of years I have been slowly adding power as I can afford it with high flowed turbos and engine management. Mallala was my first ever Time Attack ‘event’, however, I had been doing competitive and noncompetitive track days for years before that. Start driving whatever you have. I have friends who embarked on ‘builds’ but lost enthusiasm because they were not driving. Some of the most fun I have had was driving the near stock car on semi-slicks with very little maintenance required. Do something different: the more unique the car the more attention you will get in the pits. I would like to thank my wife, Kim, for all her support, my boys for helping out in the shed, Glenn at Munro Racing Turbo for the high flows, Kurt’s JZ Customs for the manifolds and piping as well as Grant and Glen at Extreme Street Performance for their perseverance at tuning our oddball creation. I also have some good friends Paul, Andrew, and Aaron with whom I have shared ideas, parts and effort. Without them, I would probably still be watching on TV. TimeattackR.com: Hey Khan, tell us a bit about who you are, and why you first got into motorsport. Khan: Hi I'm khan, I manage an automotive parts store and have been in the parts game for 15 years which has developed my interest in cars and motorsport. I started doing track days about 10 years ago in my AE92 Levin and have never looked back. What first drew me to time attack racing was firstly seeing my mate Barry Manon win the Wynn's Superlap at Taupo many years ago, so I’ve always had interest since. It wasn't until I got the Mazda MPS and met Jason Morris with his second generation MPS at a Pukekohe track day that we decided to enter Superlap series. So officially, it’s the 2015/16 season under our formed team of MacMorris Racing. My first time attack machine is my current Mazda MPS. I have always owned front-wheel drive vehicles and researched the MPS platform for hours before purchasing it. I went into it knowing it has the potential to be a good all round vehicle that can be driven daily and competitive on the track with good power. The MPS came into the Prowear NZ Superlap series already modified from its stock form which I’ve been building for the last three years. The biggest upgrade while during the series would be the addition of e85 fuel, a tune, and a larger turbo to put the car at around 270kW at the wheels, which has made a big difference on the track. The first track I competed at in a time attack format was the first round of the Prowear NZ Superlap series at Hampton Downs where I'm looking to improve on my times, during the final round of the series. My advice is if you have a passion for motorsport and have a vehicle you want to track then don't hesitate. The superlap series has been awesome and caters for all types of vehicle and driver skill. With different classes based on tyre choice, you will have awesome time — plus everyone in the series are all in it together and help each other out a huge amount. It has been the best decision I have made and I look forward to future time attack events. It’s important to mention Jason Morris my team mate, my brother Hayden for all his support, Mackesy stainless steel, Will and Ryan from PD Tuning, and Jacky from JTune.